Thongsbridge Tennis and Fitness boasts a number of different facilities on site and caters for a wide variety of fitness enthusiasts. The gym contains a variety of hammer strength equipment and has a number of resistance machines including squat racks, TRX, cable rowers and benches. Alongside the resistance machines are free weights with dumbbells 2-40KG and also a matted area for stretching which also contains medicine balls, bands and tubing. 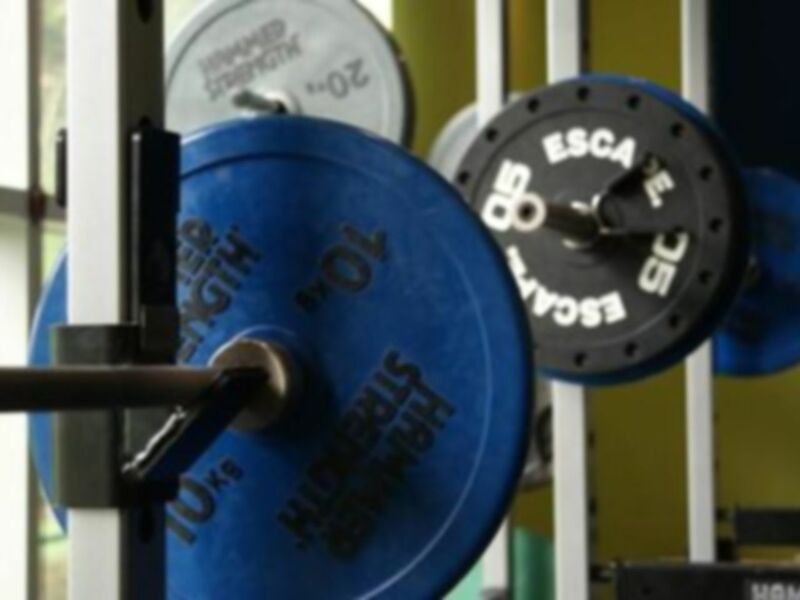 The gym has a Strength & Conditioning area and specialist programs available encompassing the physical preparation of athletes for performance in sport. It includes processes that result in physical adaptations (getting stronger, being more powerful) that complement other aspects of an athlete's development. Strength work involves all forms of resistance training, aiming to induce specific physical adaptations that transfer to the sporting arena. Equally, athlete's are conditioned to improve change of direction speed, agility, endurance & flexibility, which can positively impact on an athlete's performance. Alongside the gym is a fitness studio which also contains spin bikes for classes. Classes include spinning, yoga, pilates and HIIT. Amenities in the gym include changing rooms, showers, lockers and extras include a cafe, bar area which serves food and the other club facilities. The club serves as a Tennis and Fitness club so there are both outside and inside courts and also a social club area. First time visiting the facility as I am visiting family nearby. Went at lunchtime on a Friday and the gym was empty, so all equipment was available. It is a compact gym but has everything you need for a comprehensive workout. Will go again when next up in the area. Staff very friendly!